Pultruded composites consist mainly of fibers, and predominantly resin-impregnated in the axial direction. It makes them one of the most effective composites. And surface mats are used for surface appearance and to improve chemical and weathering. We often widely use polyester resin in pultrusion FRP products. 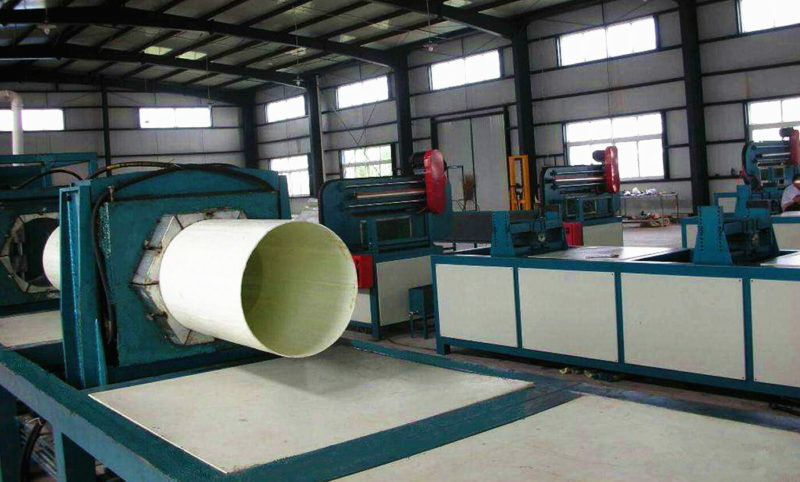 As we know, pultrusion process is one the most common process of FRP manufacturing. Belows are some description of pultrusion machine. At first, the facts of this machine always include creel, resin wet out tank, and forming dies. What’s more, heated matched metal die, puller or driving mechanism, cut-off saw, and mandrel ( for hollow shapes). And we are a creative pultrusion company, our pultrusion machine is brand new and professional. As we all know, the pultrusion plate consists of CS roving and cushion. And add mat layer to increase transverse strength. 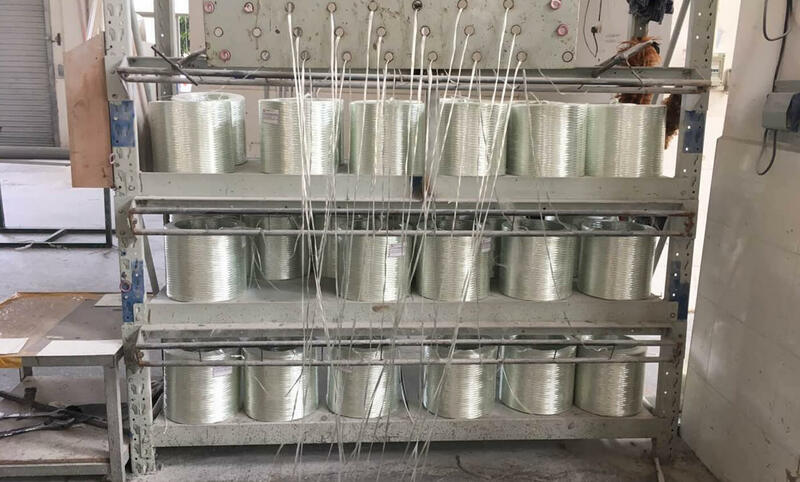 Usually the basis material we use in FRP process are polyester of thermosetting polymers and vinyl ester (epoxy resin has a long curing time), PEEK and polysulfone from thermoplastic polymer. And we mainly use pultruded products in the following areas. Electrical applications including transformers, fiberglass tube, FRP in construction, FRP grating, and FRP cooling tower, etc. Pull the pultrusion sheet over the liquid resin bath to thoroughly moisturize each fiber. 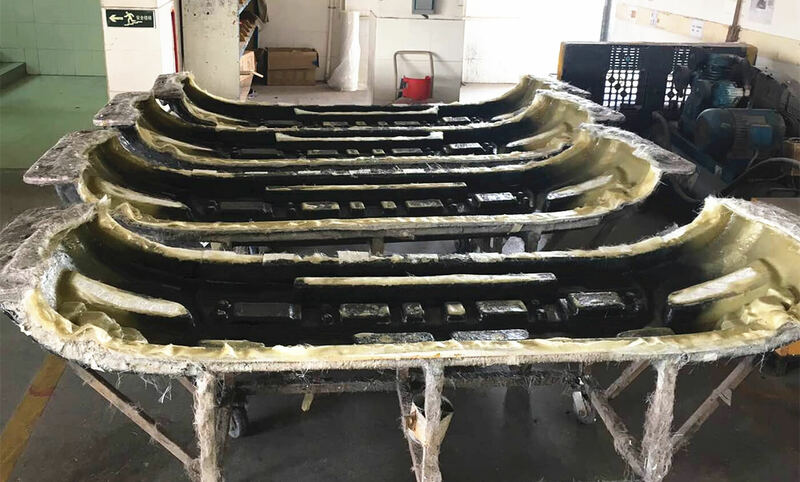 Then, before entering the mould, we strengthen the parts into the FRP profiles to which we will make. And as we form the material to meet the heating mould of design GRP profiles, the resin changes from liquid to gel, and eventually to solidified hard plastic. The traction device grasps the cured FRP material and pulls the FRP material through the mold. 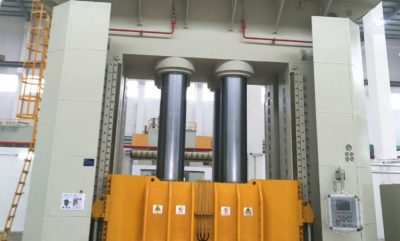 And this is the source of power for this FRP pultrusion process. Later, after passing through the tractor, we saw the product to the desired length. Creative pultrusions are ideal for custom shapes, and some standard products include solid bars, hollow FRP pipe, FRP panels, hat FRP profiles, angles, FRP channel, and I-beams. Here are some details of pultrusion process. The product size depends on shaping die. Equipment pulling capacity, straight, constant cross FRP sections, some curved FRP sections are possible. 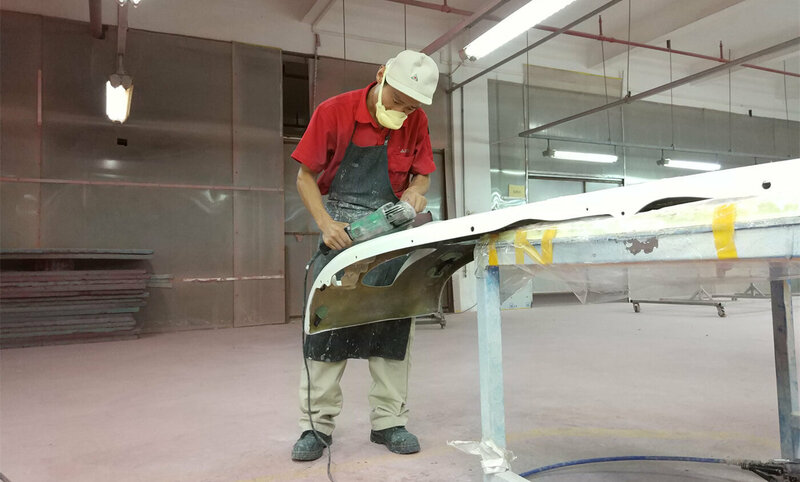 Certainly, types of reinforcement materials include FRP fiberglass, carbon fiber, and aramid fiber. The Resin Systems include polyester, vinyl ester, epoxy and silicone. 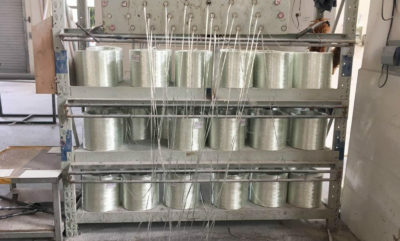 And the fiberglass contents of roving, mat, woven roving are 40-80%, 30-50%, and 40-60% by FRP weight. Mechanical strengths of FRP is medium to high, primarily unidirectional, and approaching isotropic. Both labor intensity and mold cost of pultrusion process are low to medium. And we always relate our production rate with shape and thickness of the FRP pultruded products you want. Generally, we make early pultruded structural shapes to accord with standard of steel. And we find that the warp is a problem. Because the pultruded fiberglass structural shapes are uneven materials and the shrinkage. Due to the curing depends on the type and number of resin. Now, these structural shapes should include continuous wire mesh pads and continuous roving. And we use the uneven number continuous felt laminar with the roving between the two layers of felt.